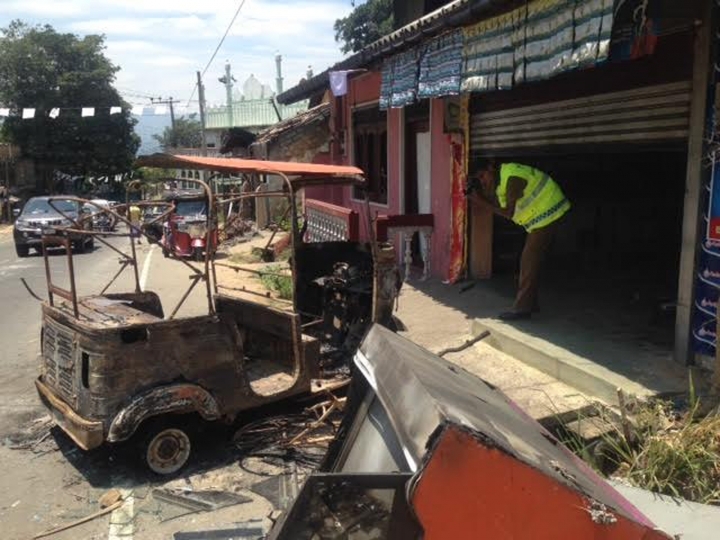 KANDY, Sri Lanka — Calm was beginning to return to violence-hit Muslim neighborhoods in Sri Lanka's Kandy region on Friday, with many shops reopening as army reinforcements largely put an end to Buddhist mob attacks that hit the area. Army commander Mahesh Senanayake said security forces have managed to control mob violence that hit the area earlier in the week, adding he met with community and business leaders on Friday. He said victims accused the police and the elite police Special Task Force of just looking on while they were targeted. Sri Lanka has long faced a bitter ethnic divide between the majority Sinhalese and the minority Tamils, fueling a decades-long civil war as Tamil militants tried to carve out their own homeland. The war ended in 2009. Since then a religious divide has grown, with the rise of Buddhist nationalist groups who accuse minority Muslims of stealing from Buddhist temples or desecrating them, or forcing people to convert to Islam. Muslims also own many of Sri Lanka's small shops, and many Muslims suspect small-town jealousy has led to some attacks. The government ordered a state of emergency Tuesday and later shut down popular social media networks to block the spread of rumors leading to tensions and attacks. The violence was largely limited to the island's central hills. In the capital, Colombo, and other cities and towns, there are few if any signs of trouble. Thursday night was largely peaceful, except for some scattered incidents. Abdul Lateef said that his house was damaged by a mob in Udatanawinna village. His family had already moved out for safety. His son, who repairs sewing machines, found his business wrecked in the attack, he said. Police said they have arrested 81 people so far, including 10 for allegedly leading and instigating attacks on minority Muslims in the area.